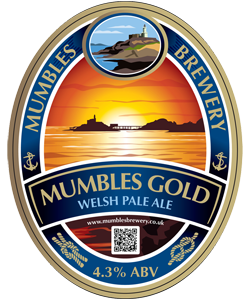 The very first batch of Mumbles Gold was the first beer to sell out at the 2013 Swansea CAMRA Annual Beer and Cider Festival, becoming the brewery’s best selling beer. 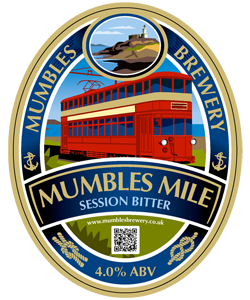 Other regular beers are Mumbles Mile, Lifesaver, Oystermouth Stout (using real oysters supplied by Mumbles Oyster Co) and India Pale Ale. Our beers are available in pubs throughout South Wales and the Bristol area. Bottles and five litre mini casks are also available from local wine merchants and the Mumbles Local Produce Market (second Saturday each month), once opened the mini casks will remain fresh for up to three days. 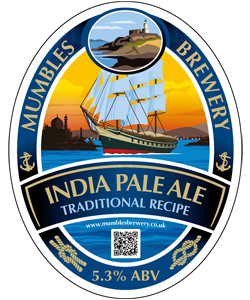 12 x 500 ml bottles – A traditional India Pale Ale, gold in colour, made using only goldings and fuggles hops, the latter dry hopped in the cask, giving a distinct taste and aroma. The beer is rounded and full bodied, making it easy to drink. 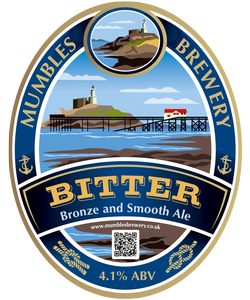 Champion beer at CAMRA Swansea Bay Festival 2016. ​12 x 500 ml bottles – A light, refreshing, thirst quenching pale ale, golden in colour. Well hopped, the distinct and bold Styrian Goldings lemon & lime flavours linger well.